Isn’t that awesome?! That’s how this whole book is—along with humor and fabulous illustrations. 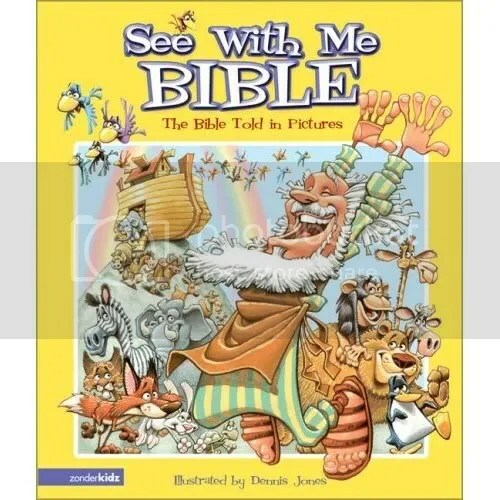 Then we “read” the next two, Noah’s Ark by Peter Spier and See With Me Bible, illustrated by Dennis Jones. I say “read” because they are both picture books. But Lydia was enthralled nonetheless. Both of these books are humorous and real portrayals of what it must have been like in a crowded, stinky and loud ark for months and months. 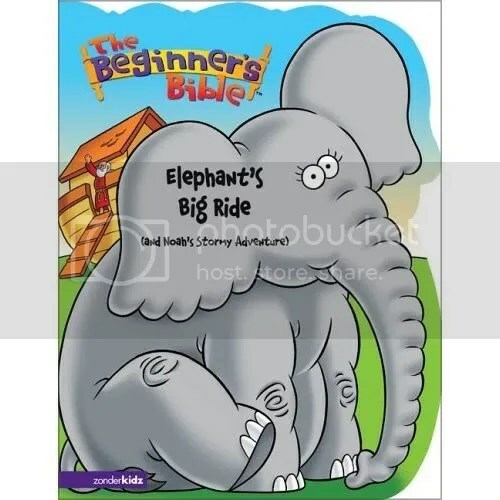 We also read one of our old favorites, a book Lydia got for her first birthday, Elephant’s Big Ride, which I think is part of the Beginner’s Bible. 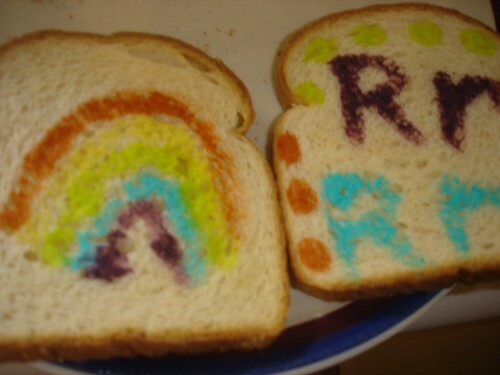 So, after getting the “real” rainbow into our heads, I pulled out the supplies for our activity…are you ready? Because I’m so proud of myself. Not because I made this up, because I certainly didn’t, but just that I pulled it off! 1. 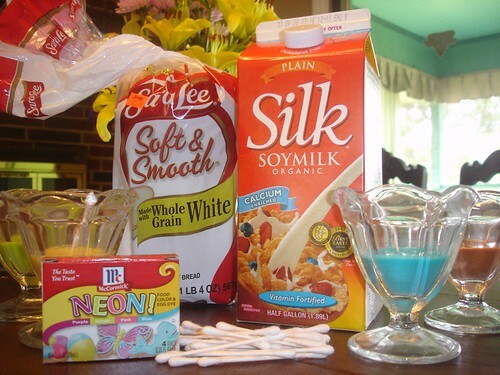 Pour a tiny bit (a few tablespoons) of milk into each small container. 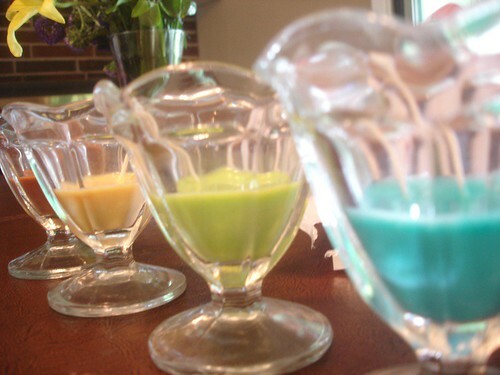 Then add a few drops of food coloring so each container is a different color of the rainbow. 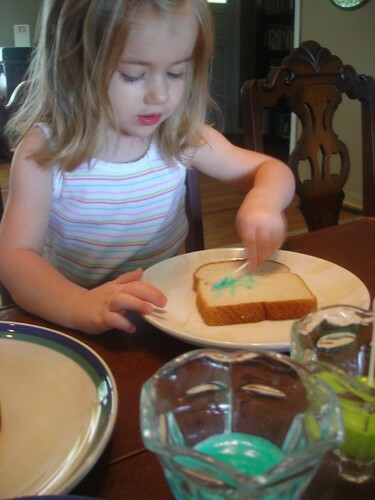 For some reason I only had neon food coloring. So, we didn’t have red. And our orange is a little nutmeg, but it got the point across. 2. 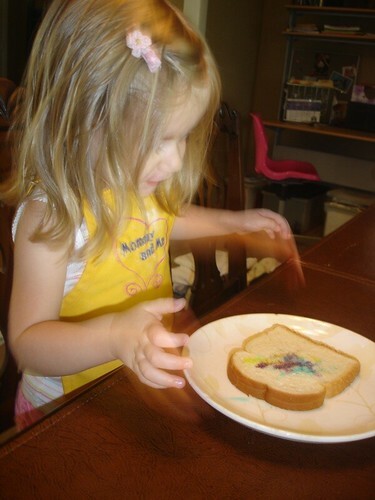 Use paintbrushes to paint a rainbow (or random pictures) on bread). 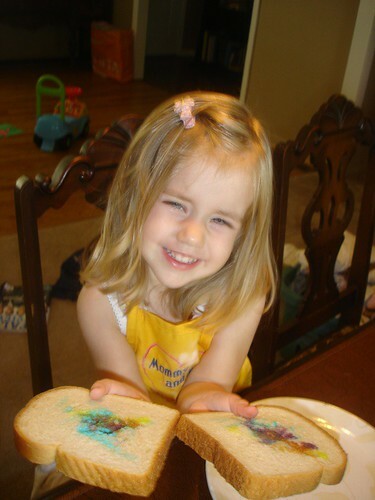 Lydia looooooved making rainbow bread! She thought it was so fun. This would be fun for almost anything you were doing. Painting different shapes, animals or letters. 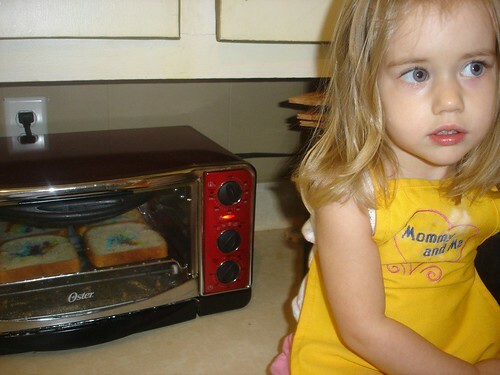 What a great thing to let the kids do while you’re cooking. Then they can eat their creations during the meal. I’m lovin’ me some “R”!! ps…we also read Robert the Rose Horse by Joan Heilbroner before Lydia’s nap. Because really, how much better of an “r” book can you get? Did you notice our new little button in the sidebar? 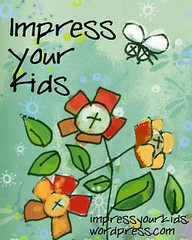 Feel free to snag it and link to us on your blog! We’d be honored! Maybe it’s because I’m pregnant, but I could not think of one verse that began with the letter “R” except “Rejoice in the Lord always” and honestly, I wasn’t sure if that was a verse or a song! So, I pulled out my handy dandy concordance and began to flip through the R’s. Wow. Concordances are…well, detailed. I know “remember” is kind of a hard concept, even though we do talk about remembering a lot. So, I taught Lydia the sign for remember to kind of help emphasize the word and the verse. (You can see the sign here.) I think this helped and she’s very intent to do the sign while we say the verse…or while I say the verse. 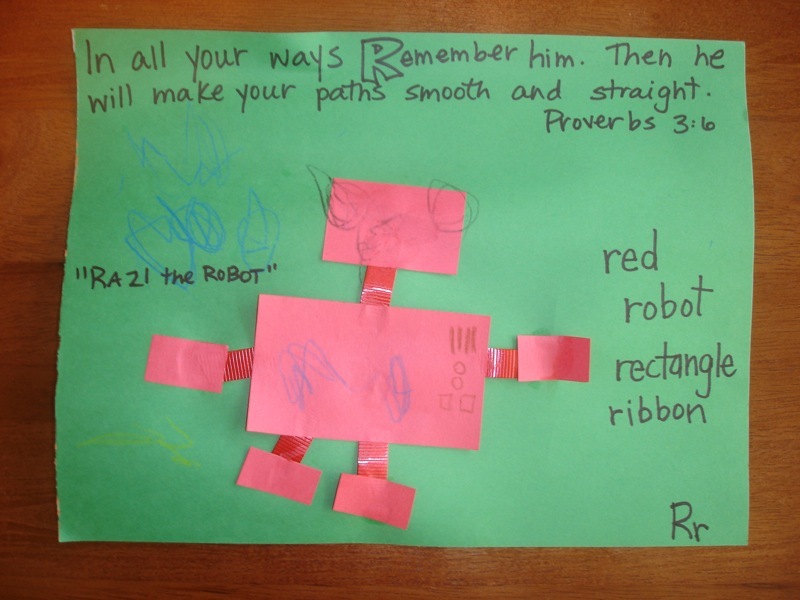 There are so many great r words: roses, rainbow, round/rectangle, red…and ROBOT. Ever since Lydia saw Wall-E (or Waaaaalllleeee, as she says it), she’s been really into robots. We decided to make a red, rectangle robot with ribbon appendages. We pulled out the ever-present baby name book and decided on “Razi” as a first name. What can I say? She liked it. By the way, Lydia did the whole thing by herself with the exception of the ribbon and the awesome button and light drawings I did on Razi’s chest. Did you see the great eyes and nose she did? That’s a big improvement—there are actually TWO separate eyes! Oh, and the “scribbling” on the top left? Lydia wrote “Razi the Robot”, of course. 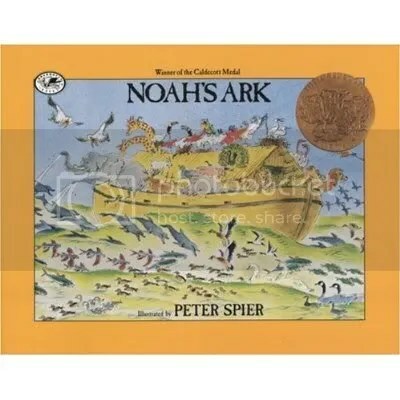 I was going to go through our books for “R” but Lydia already thought of a book because it has a RAINBOW in it…our Little Golden Book of Noah’s Ark. It’s actually quite good–follows the story well and has cute pictures. 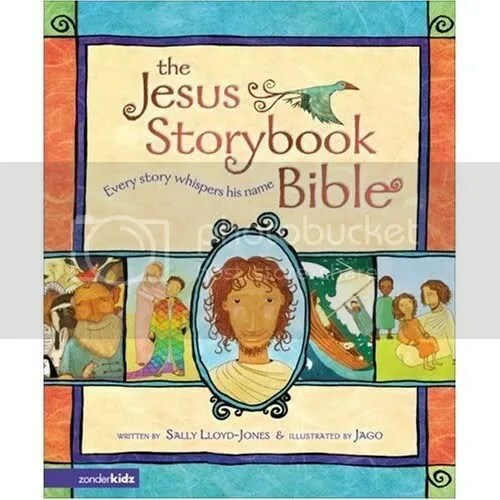 We’ll do more with Noah and the rainbow this week because I think it’s a great tie in to “remember”—God put the rainbow in the sky so we could REMEMBER His promise to us.